Great news – Raisa Korotkova, reported missing a short while ago, has been located, safe and sound, by an alert citizen. Thanks for the RTs. Vancouver Police are asking for the public’s help in finding a missing elderly woman. Eighty-six-year-old Raisa Korotkova was last seen this afternoon just before 4 pm in the area of Manitoba Street and West 49th Avenue. Raisa only speaks Russian and suffers from dementia. She would not have any money with her and does not normally take transit or taxis. Raisa is described as white, approximately 5’4″ tall, slim build, with short grey hair and blue eyes. She was last seen wearing a pink cap, a bluish-grey knee length jacket, beige pants, black shoes, black gloves, carrying a cane and rainbow pattern umbrella, as seen in the above photo. Anyone who sees Raisa Korotkova is asked to call 9-1-1 and stay with her until police arrive. 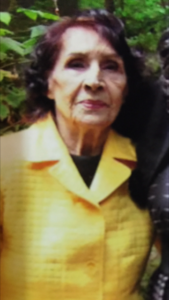 This alert, "CANCELLED: Missing 86 y/o Raisa Korotkova Manitoba St & West 49th Vancouver" imported on 2016/12/20 05:14 was originally posted to the "VPD Media Releases" web site and is provided here for alerting purposes. Please see the original post for authoritative information and updates on the missing person. Police are looking for a missing 79-year-old man with Dementia. Carl Lewis was last seen at his home on West Pender Street near Richards around 10 am. Carl is ‎white, has a medium build, and is balding. He was wearing a black jacket, dark blue hat, and brown pants. Anyone who sees Carl Lewis is asked to call 9-1-1 immediately and stay with him until officers arrive. This alert, "CANCELLED: Missing 79 y/o Carl Lewis with Dementia" imported on 2016/12/07 23:43 was originally posted to the "VPD Media Releases" web site and is provided here for alerting purposes. Please see the original post for authoritative information and updates on the missing person. Vancouver Police are asking for the public’s help in finding a missing elderly man. Sixty-two-year-old Gerardo Villanueva left Vancouver General Hospital near West 12th Avenue and Heather Street at 7:30 pm and has not been heard from since. Gerardo requires medication and suffers from severe Dementia. Mr. Villanueva is Filipino, 5’3″ tall, has a slight build with dark brown hair and brown eyes. He was wearing a grey sweater and blue sweat pants. He is not dressed appropriately for the weather and may not be wearing shoes or a jacket. A search of the area where he was last seen, and his home near East 14th Avenue and Ontario Street, along with checks of local hospitals, cab companies, transit, and other police agencies, have failed to turn up any sign of him. Anyone who sees Gerardo Villanueva is asked to call 9-1-1 immediately, ask for police and ambulance, and stay with him until officers arrive. This alert, "CANCELLED: Police Searching For Missing Elderly Man" imported on 2016/11/26 16:22 was originally posted to the "VPD Media Releases" web site and is provided here for alerting purposes. Please see the original post for authoritative information and updates on the missing person. 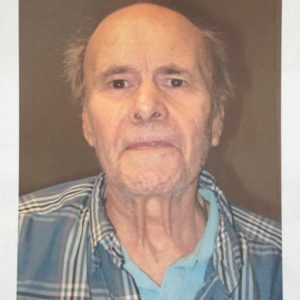 The Nanaimo RCMP is asking for the public’s assistance in locating 79 year Peter Dickinson, who left his care home facility on Machleary Street early Saturday morning and has not been seen or heard from since. He has significant health issues and suffers from dementia. Police say Dickinson has not accessed his bank account, he does not carry a cell phone nor does he have access to a motor vehicle. He has several friends residing in Port Hardy and it is believed he may attempt to make his way there. He’s described as is 79 years old, 5 ft. 7, 140 pounds with very thin grey hair. His last know clothing description consists of a blue jacket, black pants and black sneakers. He may also be wearing a baseball cap. He has a blue backpack with him which contains several changes of clothes. If you see Peter, you’re asked to call 911 or the Nanaimo RCMP at 250-754-2345. Murray Silverstone, missing since last night, has now been located, safe and sound. Thank you for the RTs. 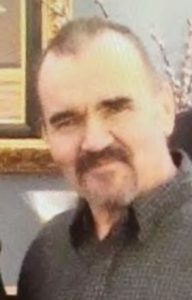 The VPD are asking for the public’s help to locate a missing person who was last seen at his home near Everett Crowley Park. Seventy-year-old Murray Peter Silverstrone left his home in the area of Matheson Crescent and S.E. Marine Drive at about 5:15 last night and did not return. He has recently been showing some signs of dementia and requires attention for other medical concerns. Mr. Silverstrone left his house with minimal clothing for the poor weather conditions outside. He is believed to be wearing a brown corduroy jacket, grey sweat pants, and grey slip-on shoes. A search of the area near his home and places he is known to frequent, along with checks of local hospitals, transit, and other police jurisdictions, has found no sign of the missing man. Anyone who sees Murray Silverstrone should call 9-1-1 immediately, ask for police and ambulance, and stay with him until officers arrive. This alert, "CANCELLED: Missing 70 y/o Murray Silverstrone S.E. Marine Drive Vancouver" imported on 2016/10/09 16:42 was originally posted to the "VPD Media Releases" web site and is provided here for alerting purposes. Please see the original post for authoritative information and updates on the missing person.